A jumbo certificate of deposit (or jumbo CD) is a CD that has a balance of at least $100,000. At this level, you can typically earn a higher amount of interest on your CD versus another CD with a lower deposit amount. A certificate of deposit, or CD, is a great place to store cash. It's safe, and the CD rates are typically higher than you'd find in a savings or money market account. The only caveat is that you have to commit to the term of the CD to get the rate. Otherwise there might be a surrender charge, where you lose some or all of the interest. It's important to note that, in this rising interest rate environment, it might only make sense to park your cash in a short term CD versus a longer term CD. As a result, you might get a higher yield at CIT Bank. Why? You can get up to 2.25% APY on your account! They currently offer one of the best interest rates available in a money market account (which are liquid and can be better than CDs). Open an account at CIT Bank here. What Makes A Jumbo CD? Based on our evaluations of the top CD rates and features, we've found these CDs to offer the best rates and terms. The CIT Bank no-penalty CD is one of our favorites. It’s offered only with an 11-month term. You can withdraw your money anytime after 7 days from funding without penalty. You currently earn 2.05% APY. That’s much higher than online savings accounts. The BBVA Compass Bank Bright CD is another one of our favorites. You currently earn 2.35% APY for a 36-month CD (as of February 15, 2019). That’s a bit higher than online savings accounts. They also have great CD rates of other terms of their CD products as well. While you might think that all jumbo CDs are made alike, there are some new players in the last few years that really give CDs a run for their money. These products might not be right for everyone, but they do provide a higher yield than savings accounts. Peerstreet is similar to LendingClub and other lenders in that you invest in short term loans. The difference is that Peerstreet makes real estate loans, so your money is backed by real property. They advertise 6-12% yield on their 12 month loans. This is a great alternative to CDs. Worthy is a new type of investment product that allows you to invest in bonds backed by small businesses. These bonds pay a flat 5% annual yield, and you can get started investing in them with just $10. This is a great alternative to CDs that pay a slightly higher yield. It can be hard to shop for a CD because of all the different options available. While the table above has the highest rates you'll find each day, we also wanted to provide some context to these banks. Here are some other banks (including some in the table) to compare, and learn a little bit more about these companies. Ally Bank is an online bank that has one of the largest selections of CDs available. They offer many traditional, as well as penalty free CDs. We love Ally for their customer service and their wide range of low cost banking products. Check out our full Ally Bank review. Barclays Bank has a fairly standard set of CD terms, ranging from three months to five years. Unlike others on this list, there is no minimum balance required to open a certificate of deposit with Barclays. They are about as traditional a bank as you get. The BBVA Compass Bank Bright CD is another one of our favorites. You currently earn 2.25% APY for a 36-month CD. That’s much higher than online savings accounts. They also have great CD rates of other terms of their CD products as well. Capital One is famous for its credit cards, but it has been expanding with CD rates. There is no minimum deposit, which make these CDs comparable to Barclays’ CDs. What you get with Capital One is comfort of a traditional bank with a new online spin. Check out our full Capital One review. Check out our full CIT Bank review. Discover was one of the first credit card companies turned bank. While discover does have many of the same products as the others, they also offer one of the longer term CDs we've seen. They offer a 10 year term. That might be a little long for some, but the option is out there. As you might have guessed, Fidelity isn't a bank. 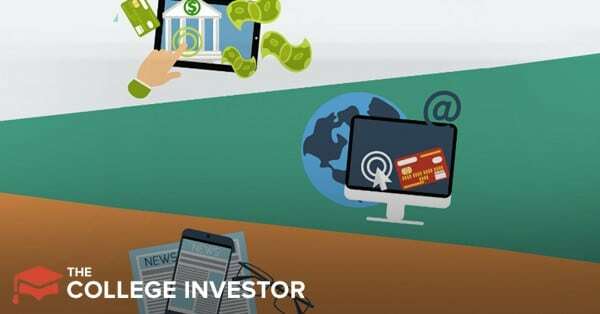 However, we're including it on the list because it has one of the best CD ladder tools for investors looking to put together CDs in the portfolios. Check out Fidelity if you want to invest in CDs. Check out our full Fidelity review. Sallie Mae is best known for their student loan lending. But Sallie Mae also offers a range of banking products, including CDs. With some of the highest rates in CDs being offered, they're not a bank you want to ignore if you're looking for the best yield. Synchrony is one of the most advertised banks online, but one of the most unknown in general. Formerly GE Capital, Synchrony is the world leader in private label credit cards (think Walmart, etc.). Synchrony Bank offers CD term rates from three months to five years. They also offer IRA CD terms of the same length. Definitely a bank to consider. There are a few things to know when comparing certificates of deposit. We break down the common things to look for here. One of the biggest drawbacks of CDs is that they typically have a penalty if you don't hold the CD for the entire term. A notable exception is the CIT Bank Penalty Free CD we mentioned earlier. A common penalty is 60 days of interest. I've seen penalties that are the entire amount of interest (especially on shorter term CDs). An example is this: Let's say you have a $10,000, 12 month CD at 2.05% interest. If you held it for the full term, you'd get $205.00 in interest. However, this CD has a penalty, and you lose 60 days of interest. If you pull out your money after 4 months, you'd only get 2 months in interest - the penalty costs you about $40 in interest. A big factor in CDs is term length. The longer the term, the higher the interest you'll usually receive. This is because the bank is more secure in your commitment to have the money in the account. As such, they'll reward you more (versus a savings account). However, the longer the term, the more significant the penalties we discussed above can be. For example, a 5 year CD might have a 1 year interest penalty for early withdraw. That's pretty significant. If you're looking for short term CDs, check out this: Best 12 Month CD Rates. If you're not sure you can commit the money for a long length of time, you might be better off with a high yield savings account or money market account. You could also look at setting up a CD Ladder to have several CDs with different term lengths. Now that you understand CD penalties and CD term length, the difference between certificates of deposits on money markets and savings accounts should be pretty clear. With CDs, you have a set time frame you must commit the money to in order to receive the yield promised by the bank. With savings accounts and money markets, there is no commitment for time - and so there are no penalties. If you have money in the account, you earn interest. If you don't, no interest. However, with money markets and savings accounts, the interest is typically lower than you'll find with a CD because there isn't a commitment to keep money with the bank. That commitment of time is what earns you higher interest on a CD. The only difference between a regular CD and a jumbo CD is that the jumbo CD typically has a higher balance (it used to be $100,000). Many banks today don't even differentiate between the two, although many consumers who have enough to buy a jumbo CD want to see better rates and terms. 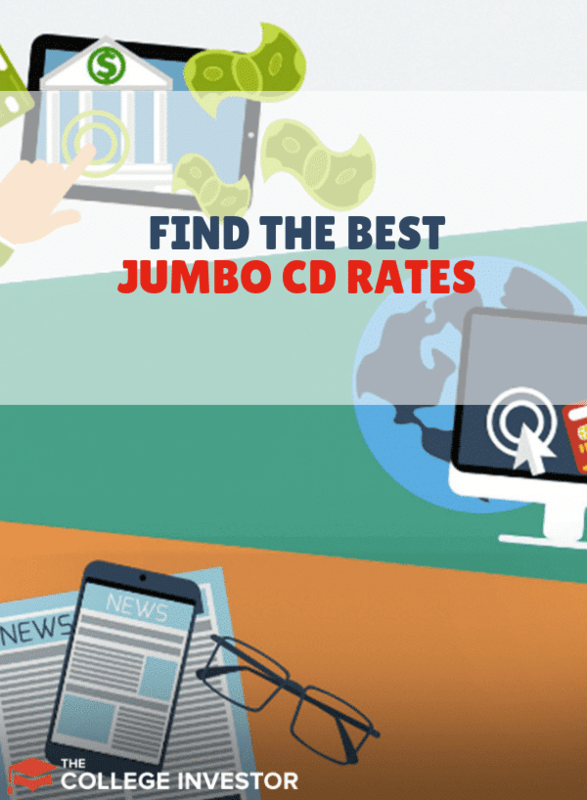 So, when searching for a CD, you have to realize that you might not see the term "jumbo CD" or "jumbo CD rates". All CDs are able to have pretty much any amount of money behind them, and it will be rare to find a CD that gives you any benefit for putting $100,000 or more to it.